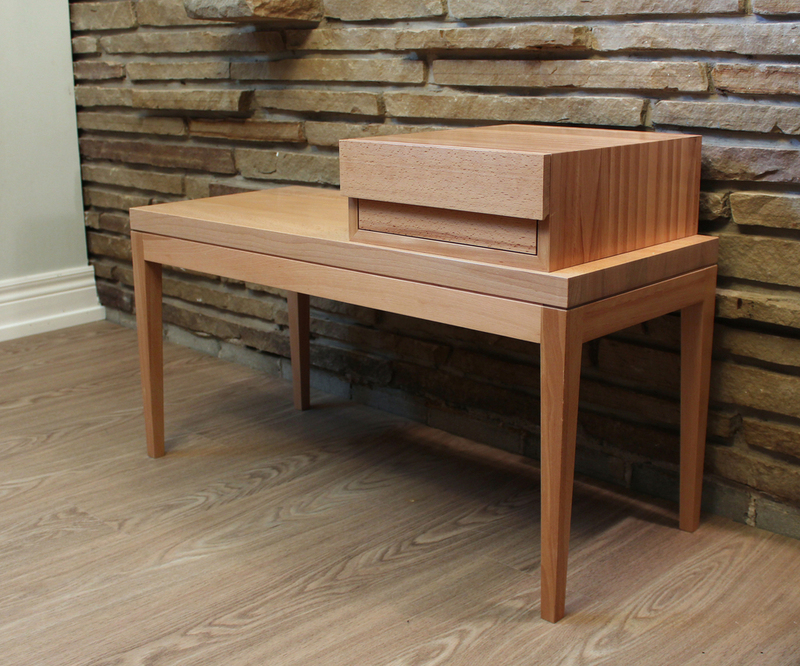 The Entrata (entry) bench is made of solid beech and finished with a water based lacquer. The bench is composed of a refined leg frame, solid seat and mitred box containing a single drawer. The piece plays with horizontal lines and simple details to create a crisp, serious furniture form. 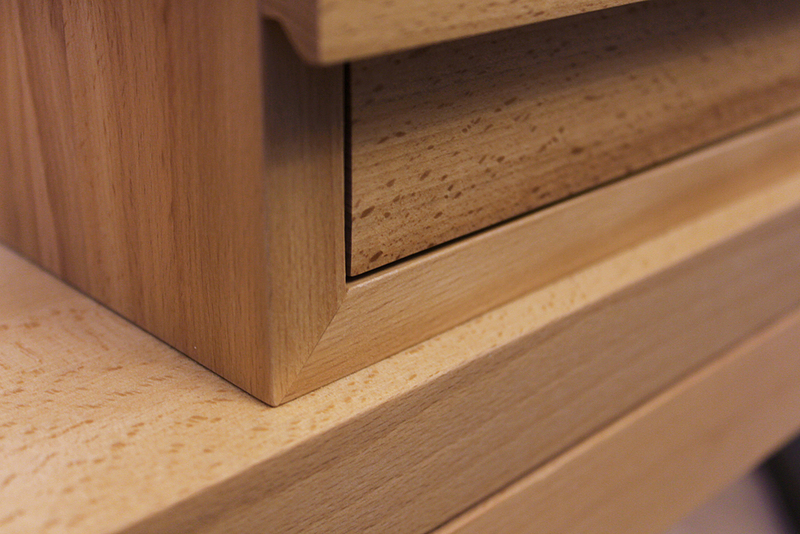 The drawer front is used to create shadows which add to the linear quality of the object and elongate the form. The bench accommodates a single seat and provides storage for small items.